Some things you can do yourself. In fact, some things are better to do yourself – like grilling your steak to perfection just the way you like it or organizing your workspace so it’s just right for you and only you. But some things are better left to the professionals, like sitting forty feet up on a hot roof looking for loose shingles, leaks, or other small issues that can make a big impact in the future. SPC Construction and Roofing thinks that sometimes the facts get a little muddled in this area, and sometimes we go to the professionals for the steaks and then try our roofs on our own to make up the difference. But trust us when we say, you’re going to want a professional roofing company for the vast majority of your roof repair or roof replacement needs. Read on to see 5 reasons you should hire a professional roofing company instead of doing it yourself. Don’t fall into the pitfalls of those other guys – go for the best roofers around and rest assured, knowing the job is done right. 1. Well first, we know you are no stranger to heat, but the Texas heat does raise some safety concerns when it comes to clamoring up on a roof. When you hire a professional roofing company, you know the work is being done while being held to the highest of safety standards. Not only can the heat be dangerous, the work is too! Make sure you aren’t putting yourself or your loved ones at risk and hire a professional to do the climbing and roof work this season. 2. We have the experience, the skills, and the history. There is a lot of technical know-how that goes into roof repairs and certain roof replacements. 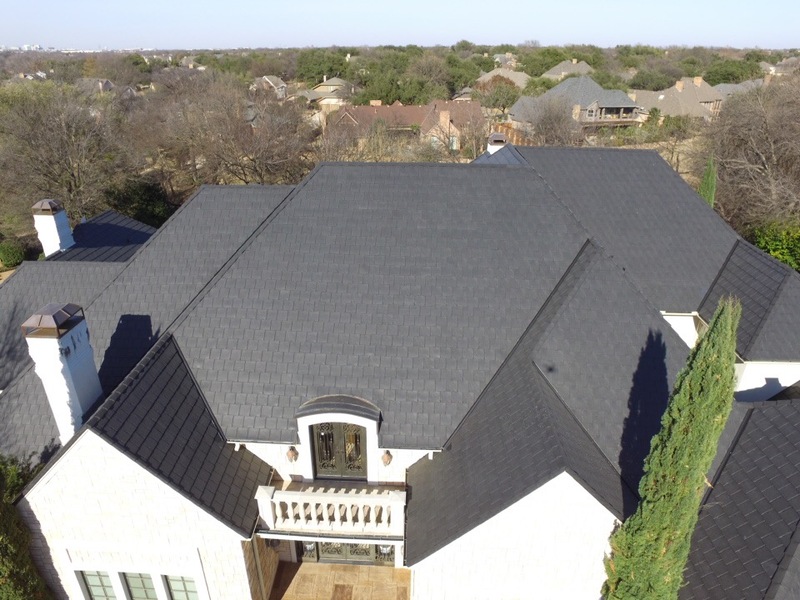 So, if you want the job done the right way the very first time, then save yourself the trouble and choose a professional roofing company who has been providing residents and businesses with new and improved roofs for decades. We know what we’re doing – we guarantee it. 3. Less time wasted, less money wasted, less energy wasted. Even if you’re a ‘do-it-yourself’ type of person, hiring a professional roofing company can actually save you time, hassle, energy, and money in the end. If a professional roofing company does something wrong, guess who will fix it? The company. However, if you make a mistake, it could be costing you big time, and with the season’s change right around the corner, it might be the best option to let a professional handle your repairs. 4. This brings us to our next reason for choosing a professional roofing company to make your needed repairs – our workmanship guarantee! Unless you have all the workers hanging around for your roofing job, you’ll need to getsome, but with that comes a lot of responsibility, and all of that responsibility falls on you when you are the one repairing or replacing your roof. What if something goes wrong? What if you hit a snag or make a mistake? Nothing to worry about if you have a professional roofing company doing the job. 5. Finally, the next reason flows right from the last – our materials guarantee! You won’t only need roof workers, but tools and materials if you take on the job on your own, but that doesn’t come with a guarantee like SPC does! We guarantee our tools and materials will all be top-notch, leaving you with a roof you can count on for the long season ahead. Take the peace of mind and take a load off while you’re at it. Let SPC Construction and Roofing do the job for you so you don’t have to worry about workmanship, tools, time, safety, or previous experience and quality. SPC Construction and Roofing has it all right in our name! We repair roofs, replace roofs, clean and replace gutters, and so much more – so if you’re a little busy this holiday season, don’t worry! We can take that load off your shoulders and your roof and make sure you never have to worry about full gutters, ice-breaks, or leaks ever again. We offer free roof inspections too! Even if we inspect and your roof is just fine, it’s nice to have that peace of mind during the winter months. Give us a call today and see what we can do for you – satisfaction guaranteed!